MIKE TROUT hit his 35th homer of the season in the Angels’ 9-7 win over the A’s in Oakland on Tuesday (Angels photo). 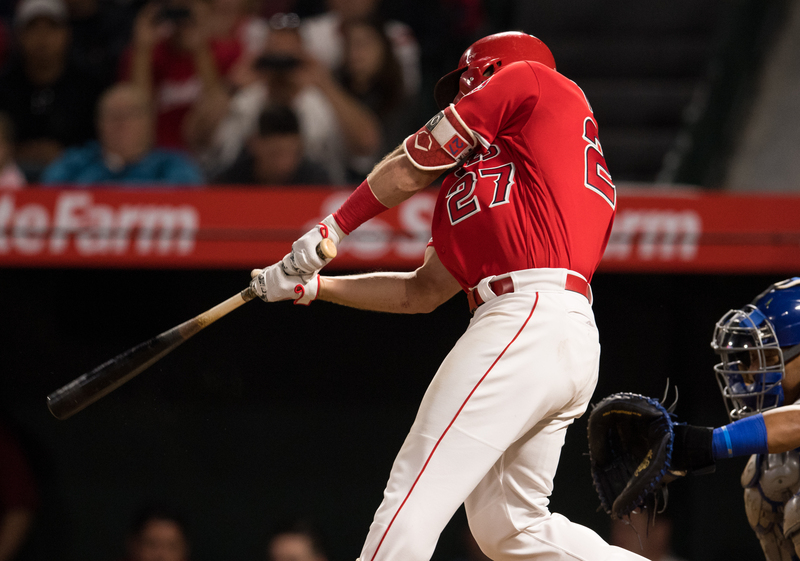 Two home runs – the key blast being a grand slam – powered the Los Angeles Angels to a 9-7 win over the Oakland Athletics on Tuesday. Kaleb Cowart hit his first clear-the-bases homer of his career and Mike Trout got his 35th round-trip of the season as the Halos (now 75-76) posted the victory in Oakland. Oakland built an early 4-1 lead, but the Angels retaliated with a six-run sixth inning that included Cowart’s blast. He also tripled in a run in the ninth and finished with five RBIs. The Orange County team extended its lead to 9-4 and withstood a three-run rally by the A’s in the bottom of the eighth. Tyler Skaggs had a good mini-start for the Angels, working three scoreless innings. He yielded no hits, but walked two batters and struck out three. The win went to Noe Ramirez (6-5). Manager Mike Scioscia used seven pitchers in the game. The series continues on Wednesday with Felix Pena (3-4) going against Brett Anderson (3-4) of the A’s.